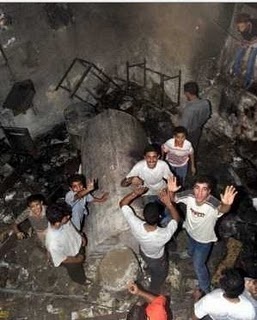 Joseph’s Tomb in 2000, destroyed by a Palestinian mob. Ten years after intifada incident which left IDF soldier dead, site torched, visitors hold Sukkot prayer, call for renewed permanent Jewish presence. Ten years have passed since the outbreak of the al-Aqsa Intifada. 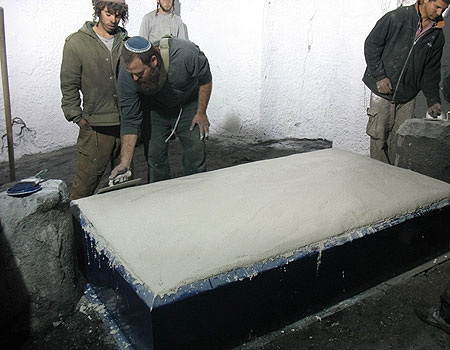 One notorious incident at the beginning of the uprising – the exchange of fire at Joseph’s Tomb, during which Border Guard Madhat Yusuf was killed and the site evacuated and torched by angry Palestinians – marked the end of a permanent Israeli presence there. However, on Monday night about 1,000 people came to the tomb to pray for the first time since the site and the tomb it contains were renovated. The Civil Administration coordinated security with Palestinian security forces for the visitors who came to mark the Ushpizin prayer at the tomb in the center of the Palestinian city of Nablus. At the end of the visit, Hotovely expressed her sorrow that despite the Oslo Accords, according to which the tomb was to be under full Israeli control, a Jewish presence was not renewed after the incident ten years ago.